NEW DELHI: Samsung opened the world’s largest smartphone factory in India on Monday, a move Prime Minister Narendra Modi said would help transform Asia’s third-largest economy into a global manufacturing hub. 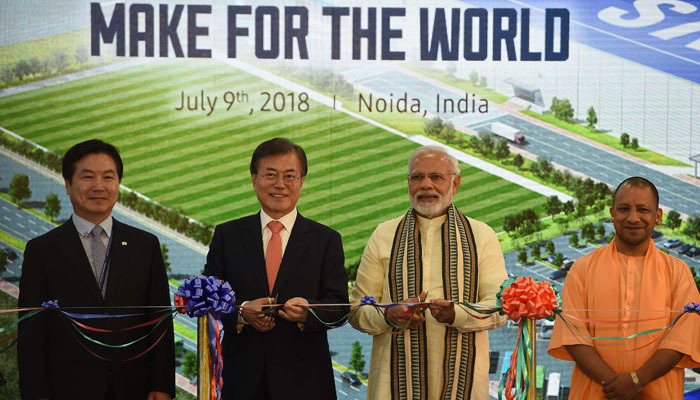 "The Noida plant has now become Samsung’s largest smartphone manufacturing unit," Moon said, as the company announced that it planned to eventually manufacture 120 million smartphones a year at the factory. It is also a shot in the arm for Modi’s flagship "Make in India" campaign which is trying to attract foreign investment and drum up much-needed jobs in manufacturing.